The correspondence address for the Company is as above. We used to live in the village of Boxhill, in Surrey, a well known meeting place for bikers. 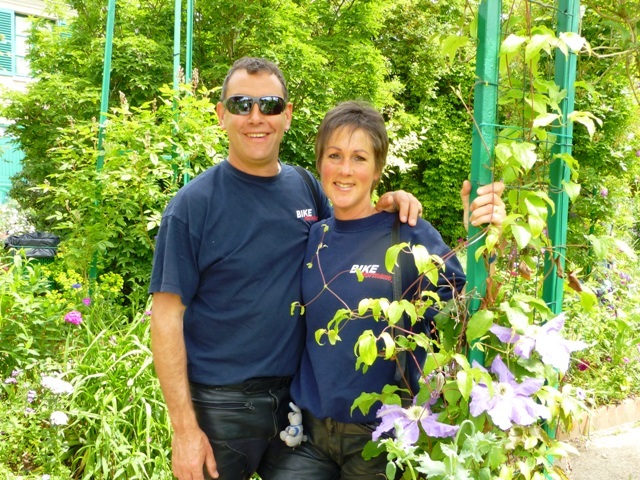 Jen was a Chartered Secretary and John had his own plumbing & heating business. In 1998 we started visiting Rouen – the old capital of Normandy – for weekends away on John’s Fireblade. It wasn’t long before friends joined us and then their friends. We were even getting calls from people we didn’t know wanting to come along. 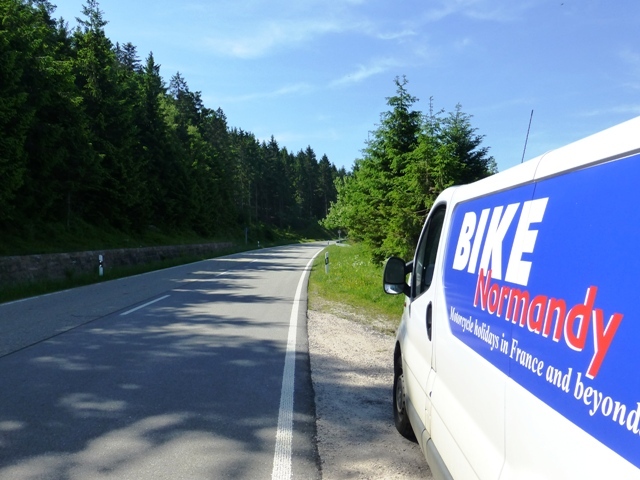 A couple of years later when we were considering moving to France we started thinking about setting up a small motorbike touring business; motorcyclists were canvassed on the ferries, at Boxhill and at our clubs. We went to night school to learn French – Jen to improve on her A level, John so that he could count! It was in 2002 while we were on holiday cruising down the Yangtze River in China that we formed our business plan (or lifestyle choice as we call it) with another holiday maker who fortunately was an accountant. It was here that we came up with the name of Bike Normandy, initially for our Short Breaks. We sold up, bought our farmhouse in Normandy and in 2003 the monster was created! We started running longer tours in 2008 and in 2014 we incorporated a new company and transferred the tours business to BN European Tours Ltd. Until the end of 2018 – including Bike Normandy Short Breaks and our Off-Road weekends we ran around 32 trips in Europe every year – more than any UK motorcycle touring company. From 2019 onwards we shall be based in the UK and therefore will no longer be able to offer the Short Breaks & Off Road weekends. The longer European Tours will not be affected and will continue as usual. His first bike was a loaned Honda C70 but enough about that. Passing his test in 1996 John purchased an NTV 650 keeping it for 9 months. The next bike was an RF900 which we used to travel round Europe. Our first long tour was from Le Havre to Barcelona, Granada, Cadiz, Seville, Madrid and back from Santander in 1997. The Bug had bitten. More bikes followed – a Blade & GSXR and we did more trips – Italy, Switzerland, Austria, Belgium, Holland, Germany and of course France. John passed his IAM test in 2001 and went on to become an observer, he occasionally informally shares his knowledge. 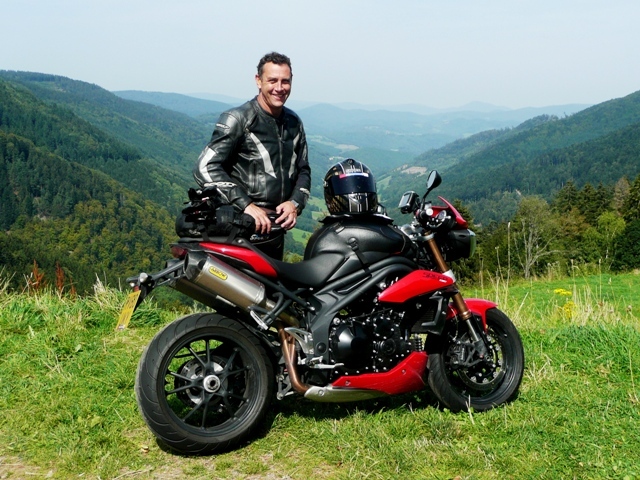 Since starting Bike Normandy he’s changed his bikes regularly and currently has too many according to Jen, however he doesn’t think there’s anything wrong with having a Street Triple R, a Yamaha Tracer 900 and his most ridden bike a comfy V-Strom 1000. John rides approx 18,000 road miles a year. Since 2006 he’s taken to riding off road. Falling off a lot in the beginning he now no longer accompanies groups on his KTM 350 EXC-F ! His style off road? He hasn’t any but is the self proclaimed British enduro champion of Normandy after beating the only other expat competitor by three places. The fact that he finished 251st doesn’t matter. John surprised Jen with her CBT test in 1999 and she had her full licence the next year. Her first bike was a Thundercat which was sold 6 months later for a yellow CBR600. She did a Honda MAC weekend which greatly improved her confidence enabling her also to pass the IAM test in 2001. 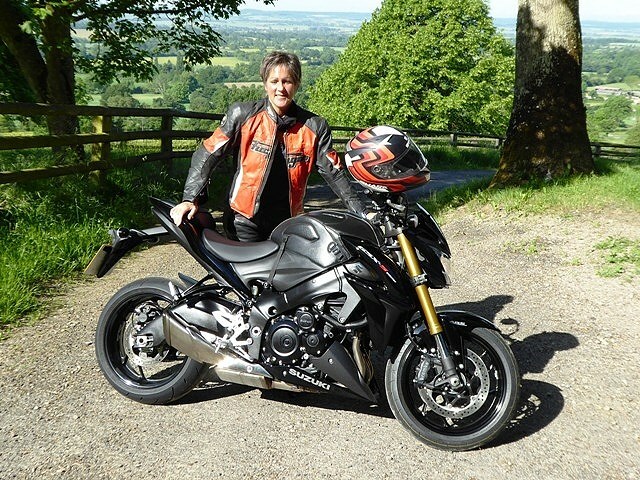 Jen then changed her bike regularly – a yellow & black GSXR 750 was followed by a yellow 955i Daytona, then three yellow Fireblades – a pattern emerges here – bikes were changed if they didn’t match her yellow jacket! In 2009 Jen got a new toy – a GSXR 750 in orange & black, obviously the jacket had to match and so we started again… After 3 GSXR 750’s, in 2016 Jen got a red GSXS 1000F with – of course – matching leathers. However, not happy with riding in red, she sold the GSXS1000F and bought a naked GSXS1000 with all the red parts sprayed black so she can revert to her orange kit!! Jen rides approx 15,000 miles a year and is very smooth. Nothing fazes her and she is a very competent rider. 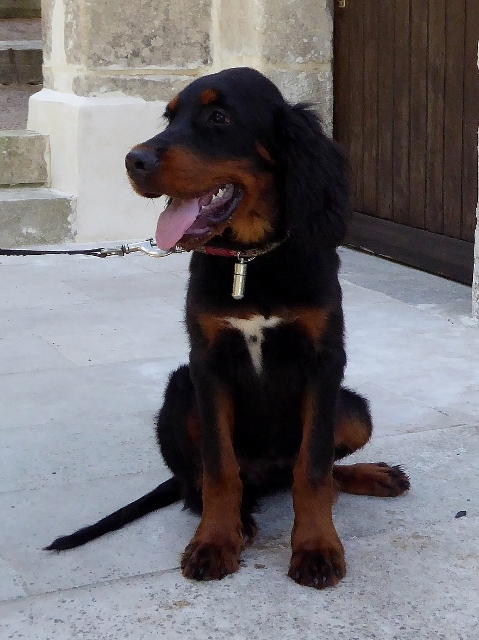 Otto joined the team in 2018, he’s a Gordon Setter who’s full of life, very gentle and sociable but an out-and-out thief! Nothing is safe!